There’s something special about a night out, especially when that night out includes five delicious courses and flights of premium Patron tequila at La Mesa Mexican Restaurant. Upgrade your date night with our upcoming and exclusive Tequila Tasting Dinner! When: April 29, 2017 from 6-8 p.m.
On Saturday, April 29, you can enjoy a five-course meal prepared by an international chef presented alongside flights of smooth Patron tequila at our 110th & Maple location. Learn how flavors and this premium spirit blend together to create an experience unlike any other! Along with the one-of-a-kind cuisine and delicious tequila, our Tequila Tasting Dinner attendees will be treated to a presentation about the Hacienda-Patron distillery and how tequila is made. Unlike other distilleries, this campus is not open for public tours, further enhancing the allure of Patron tequila. Lucky for you, you get access to the Patron distillery without even leaving Omaha! For more information or to make a reservation, ask your server or call (402) 496-1101. Patron tequila is a smooth, slightly sweet liquor made from the agave plant, which is grown and harvested by local farmers in Jalisco, Mexico and distilled into tequila at Hacienda-Patron. There are several aging categories for tequila. The most popular are plata (silver), reposado (rested), añejo (old), or extra-añejo (extra old). The longer tequila is aged, the smoother and more complex the flavor. No matter what age you prefer tequila, it all begins with the agave plant! Agave is a slow-growing plant with blue tinted leaves and a heart of sweetness. After eight years, the heart (or pina) of the agave plant is harvested and roasted in an oven, then crushed, drawing out the sweetness and sugars. The mixture then ferments for at least three days before it’s distilled either in stainless steel barrels or aged for a longer period in wood. 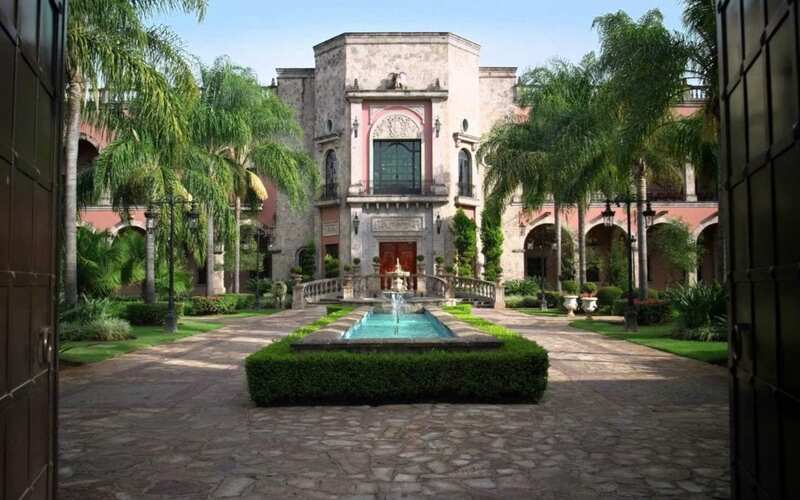 Patron has been one of the top selling tequila distillers in the world since 1989. From the young Patron Silver tequila to the smoky-tinged sweetness of aged Añejo, Patron is renowned for its distinctive flavor and can be enjoyed on its own or in a variety of cocktails. Even the bottles and corks are handcrafted on-site! The best way to drink Patron tequila is at La Mesa Mexican Restaurant paired with an incredible dinner! You can’t go wrong! 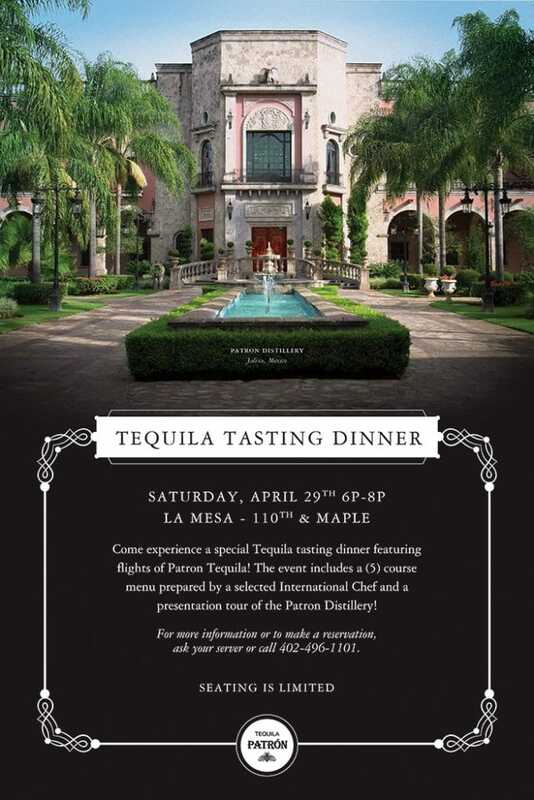 Reserve your seat at our April 29 Tequila Tasting Dinner today. But hurry! Seats fill up fast! New to tequila? 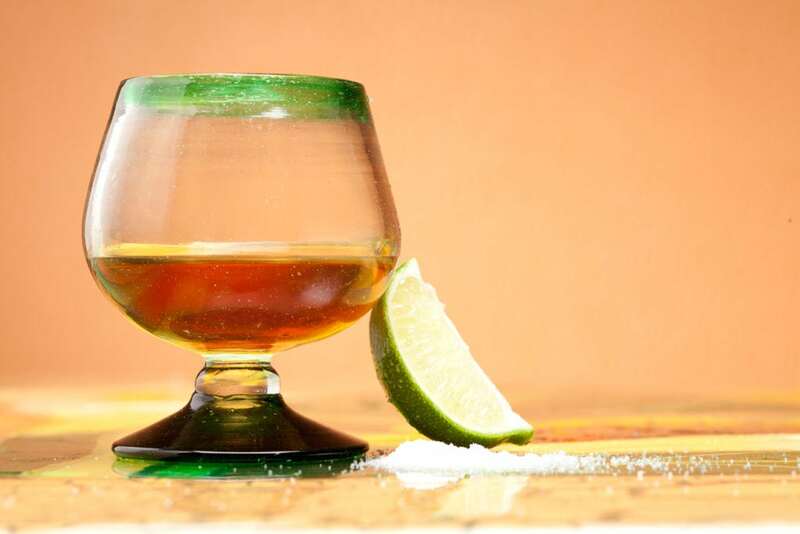 Check out our Beginner’s Guide to Tequila to learn more about the types of tequila, the distilling process, and what kind of tequila drinks you can get at La Mesa Mexican Restaurant!